Why Victoria Park Pool Camperdown? 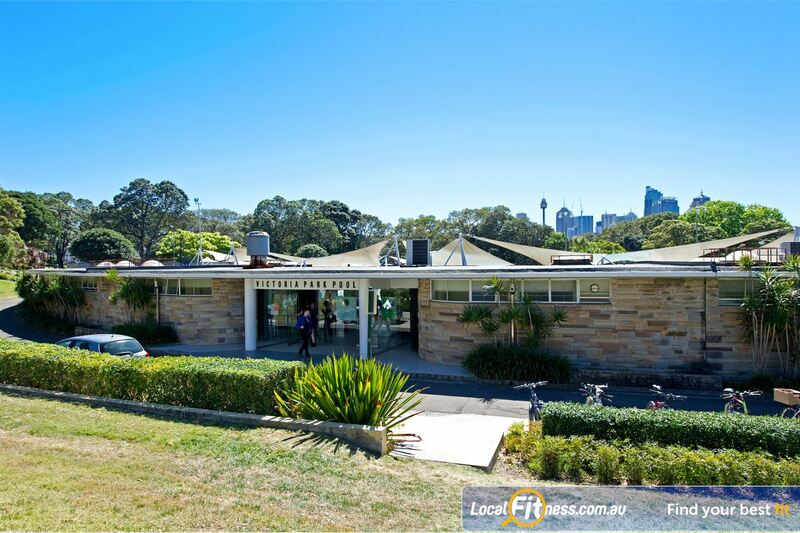 Victoria Park Pool is an inner city, outdoor swimming pool with a fabulous fully-equipped Camperdown gym and exercise studio - it's in the heart of Camperdown, in the heart of Victoria Park and is deemed an oasis amidst the hustle and bustle of city living. Our oasis includes a state of the art Camperdown gym, 30+ classes per week including Camperdown Yoga, Camperdown Pilates, Zumba and more, on-site Creche, the famous Cafe at the pool, an outdoor 50m Camperdown swimming pool with splash pool for the kids, Camperdown swim-school, squad programs and so much more. Download a FREE trial pass below and and see this Oasis in the heart of Sydney first hand. The state of the art Camperdown gym at Victoria Park. Enjoy the best equipment from Life Fitness and Hammer Strength. A comprehensive range of plate-loading and pin-loading equipment. Our gym instructors can teach you the benefits of free-weight training. The cardio area overlooks our stunning outdoor pool with a city skyline backdrop. Ask our gym instructors about incorporating cardio training into your workout. Camperdown personal training is suitable for all ages and abilities. Camperdown gym instructors will get you on your weight-loss journey. Spacious and naturally lit Camperdown group fitness studio. Popular classes inc. Camperdown Zumba, Yoga and Pilates. Lots of activities to encourage your children to have fun and develop. Camperdown Child Care provides the perfect place for your kids to have fun while you focus on your health & fitness. Victoria Park Pool Camperdown Swim School operates Lessons 7 days a week, running a 21 week program commencing 8th October – 31st March 2013. Lesson are of 30 minute duration, commencing the week you enrol. Victoria Park Pool has an Aquatics Centre to suit the whole family. We have an outdoor 50m heated Camperdown swimming pool alongside a splash pool for the toddlers. We also provide various programs dedicated to improving your swimming. Our Swim Squad is free for all members and our Learn to Swim program is a great opportunity for anyone wanting to be safe around water. The outdoor 50m Camperdown swimming pool. Our splash pool for the toddlers. Camperdown Learn to Swim program are great for the kids. Camperdown gym Memberships at the Victoria Park Pool are easy, fun and very cost effective. With Camperdown gym membership categories to suit all members of the community there will be a cost-effective membership that's right for you. We also have concession rates for seniors, students, pensioners and health care card holders. Download a complimentary FREE trial and one of our staff members will be in touch to assist you to choose the right membership option.